This is the F-14 Tomcat Association patch. This version does not have velcro. 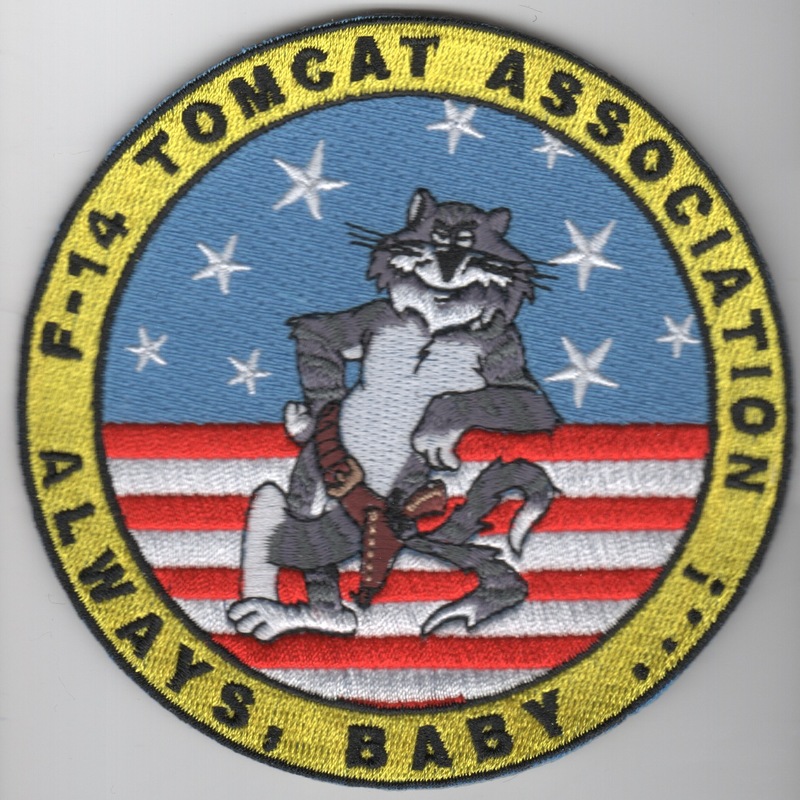 This is the F-14 Tomcat Association patch. This version does have velcro. This is the navy wool version with the plastic adjustable strap in the back that has the "FELIX" of the Tomcat Association LOGO embroidered directly onto the front of the cap!! This is the khaki version with the leather adjustable strap in the back that has the "FELIX" of the Tomcat Association LOGO embroidered directly onto the front of the cap!! This is the Tomcat Association License Plate Holder. It is made of plastic, says F-14 TOMCAT across the top and ASSOCIATION along the bottom. 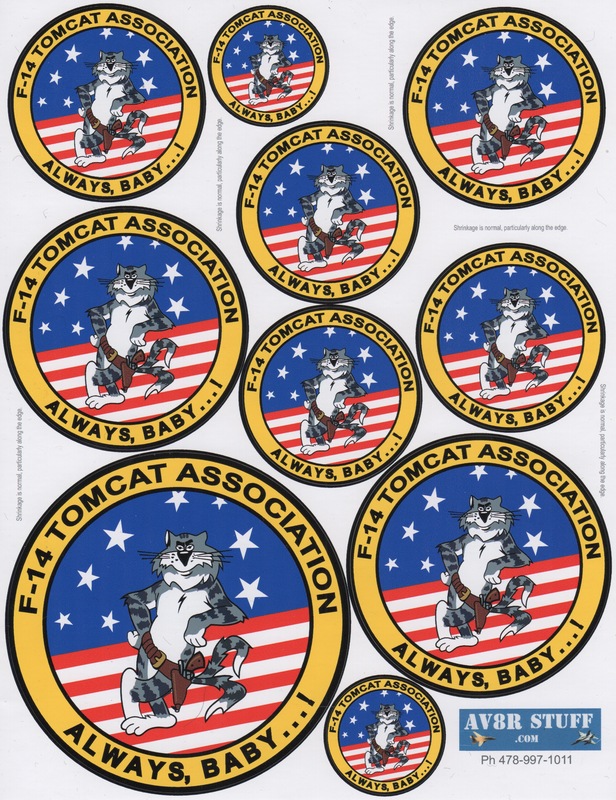 This is a "sheet of stickers/zaps" that has TEN zaps of different sizes...great for your car window to show your support of the Tomcat Association. This is the front of the "TOMCAT SUNSET" coin created by the Tomcat Association. It says "TOMCAT SUNSET" across the top and "LAST TIME, BABY" along the bottom. The back of the coin is shown below. This is the back of the "TOMCAT SUNSET" coin created by the Tomcat Association. It says "GRUMMAN F-14 TOMCAT" across the top and "1970 - 2006" along the bottom. The front of the coin is shown above. This is the front of the "LAST TIME, BABY" coin created by the Tomcat Association. It says "F-14 TOMCAT ASSOCIATION" across the top and "ALWAYS, BABY" along the bottom. The back of the coin is shown below. This is the back of the "LAST TIME, BABY" coin created by the Tomcat Association. It has the dates "1970 - F-14 - 2006" across the top and "LAST TIME, BABY" along the bottom. The front of the coin is shown above. 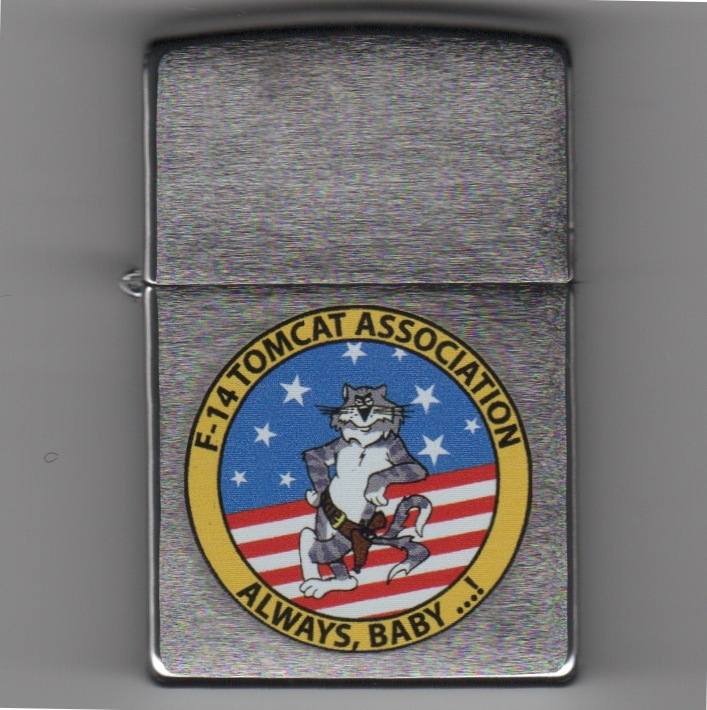 This is a silver Tomcat Assoc Zippo with the Association Logo emblazoned on the front. 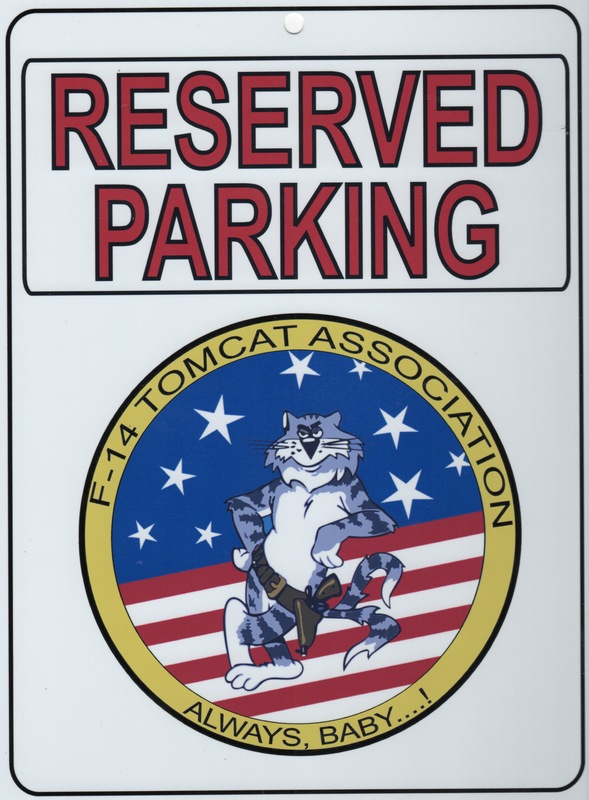 This is the metal Tomcat Association Parking Placard measuring 9" x 12" that can be used to reserve your special parking spot! This is the large, round, black mousepad emblazoned with the Tomcat Association logo. Homepage | Order Tomcat Association Items!